4 Doctor cartoon characters made in a modern flat style. These vector doctors are charming, trustful and they will catch the eye of your audience for sure. 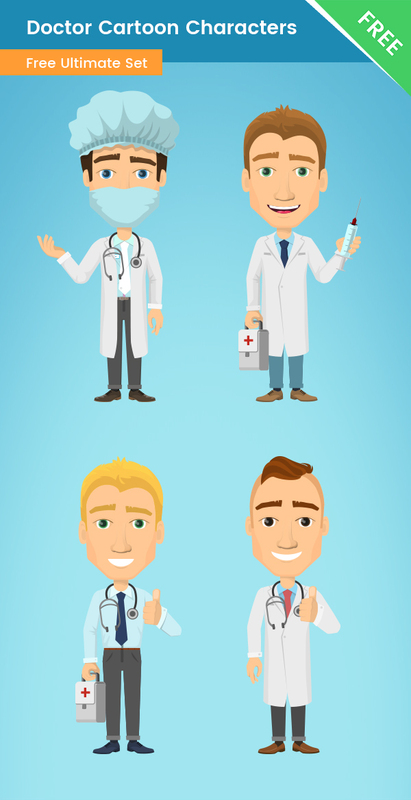 In this mini pack, you will find a surgeon, a brunette doctor with a syringe, a blonde doctor with a medical briefcase, and a young doctor making thumbs up.